Here are two low-volume hearts for this month’s lotto. I may make more. Each year I make a quilt for the silent auction at our Boys & Girls Club “Have a Heart” fundraiser. 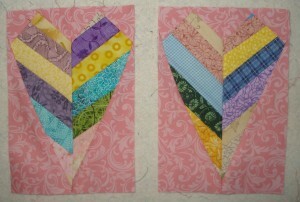 I don’t have to make a heart-themed quilt but the occasion is a good excuse.